The ever-mobile Arianne Fielder is opening a craft cocktail bar on the Westside in July, Fielder announced on her Facebook this morning. UPDATE: Fielder just revealed that the cocktail bar program she will be leading is for Bellwoods Social House, a neighborhood restaurant by Leif Johnson, owner of Bite in Alpharetta. Fielder will have total control over the bar program and is hiring peers and former colleagues to work under her. 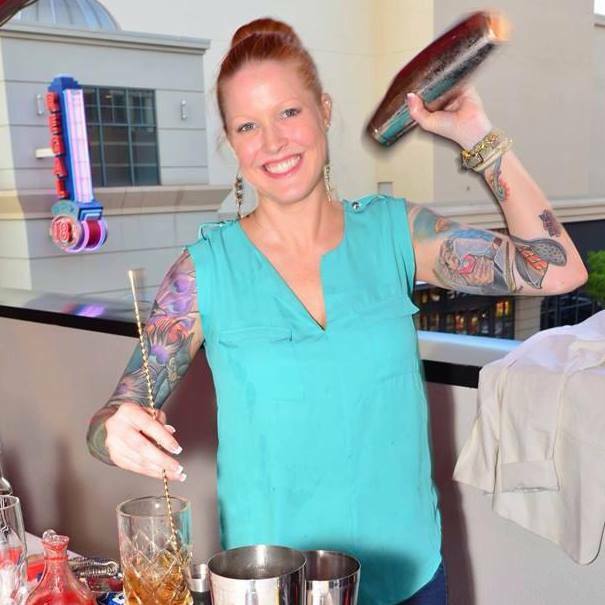 Graham Lansford of Southern Art and Bourbon Bar will be her second in command. Once the Bellwoods bar is up and running, Fielder promises plenty of guest bartenders from around the city. She says the drinks at Bellwoods will be a mixed bag of simple classics, girly drinks, and the more complex bourbon concoctions she’s know for. An example may include a sazerac made with strawberry sugar cubes. Beers will range from $2 PBR to local drafts. Wines will focus on by-the-glass offerings. Fielder first attracted attention citywide for her bourbon- and whiskey-based concoctions at chef Art Smith’s Southern Art and Bourbon Bar. She then went on to lead the cocktail program at Drew Van Leuvan’s Seven Lamps, before departing for a stint at Article 14. Most recently, she worked with Zeb Stevenson at Parish but departed quickly in a very public announcement in which the Inman Park restaurant “decided to go in a different direction,” Eater reports. Since then, Fielder has been freelance bartending with former colleagues at select bars and events around the city, including Opera and Prohibition, while she searched for her next position. She also runs a consulting business and will continue to do so while spending the majority of her time at Bellwoods.